Yoghurt can be a really beneficial addition to your mask, especially on days when your skin is feeling particularly sensitive, or if you've burned in the sun. It helps to moisturize your skin, fight acne, prevent premature aging, relieve sunburn, and reduce discoloration. Yogurt has natural anti-bacterial and anti-fungal properties. 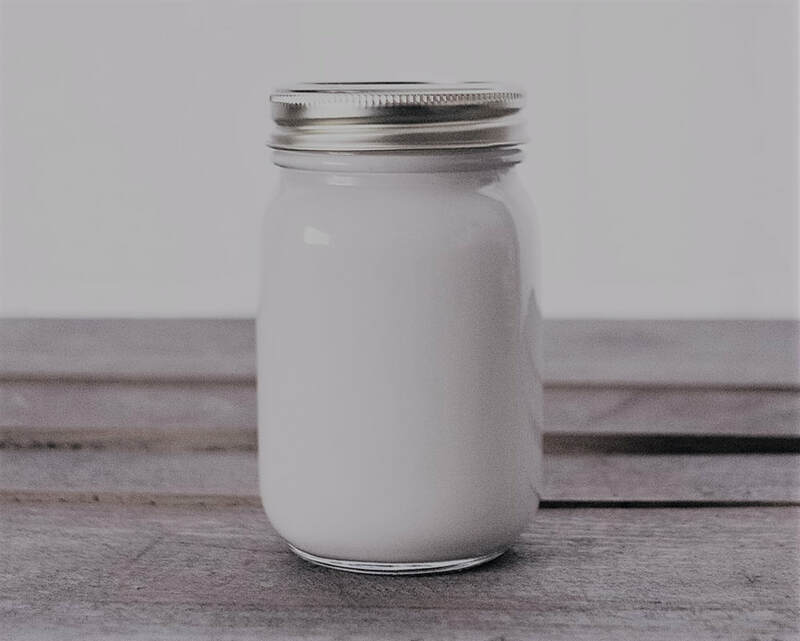 Both dairy and soy yoghurt contain lactic acid which is known to combat hyper pigmentation and reduce the appearance of fine lines and wrinkles, so good news for vegans too! Add the mask powder to your mixing bowl, then add the yoghurt and mix. Apply the mask and leave for 5-10 minutes. You'll probably find that the mask dries out less quickly than it does without the yoghurt. There's no need to wait for it to dry out fully, 10 minutes is all you need. Wash the mask off, then if you want an extra toning effect, spritz your face with the Botanicals #1 hydrosol spray. Moisturise your skin if desired with your favourite oil, serum or creme. Your face may be slightly red straight after you remove the mask but it will return to normal fairly quickly. If you do find that your skin takes a little longer than most (everyone's skin is different), you may prefer to use your mask in the evening as part of your night-time skincare routine. If you like, you can make extra and keep the spare mask in the fridge for another time. It's particularly important to keep spare mask refrigerated when you have added yoghurt.